Ella Rhodes reports on a new psychologically-informed production. A play that explores 10 of psychology’s most famous experiments has its premiere in April. Opening Skinner’s Box adapted by the theatre company Improbable is based on Lauren Slater’s book of the same name and directed by Phelim McDermott and Lee Simpson, co-founders of the company. Improbable, a theatre company that uses improvisation in the development of its work, has sought advice on the scientific method from Dr John Lazarus and Dr Quoc Vuong from the University of Newcastle’s Institute of Neuroscience, and Dr Edmund Ramsden, a scientific historian based at Queen Mary University. 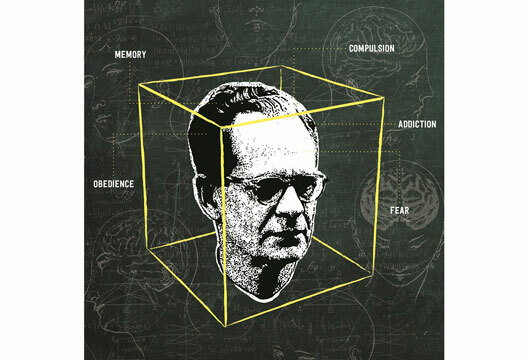 The play will explore B.F. Skinner’s experiments, Stanley Milgram’s work on obedience to authority, Elizabeth Loftus’s experiments and others. Vuong said working with Improbable had given him ideas for future research: ‘We’ve been discussing how we investigate the improvisation process itself. I want to run experiments on what’s happening in the brains of actors during improvisation using fNIRS. Similar things have been done in jazz musicians and rappers, so it would be a nice complement to those,’ he said. - We hope to run a review once the production opens.